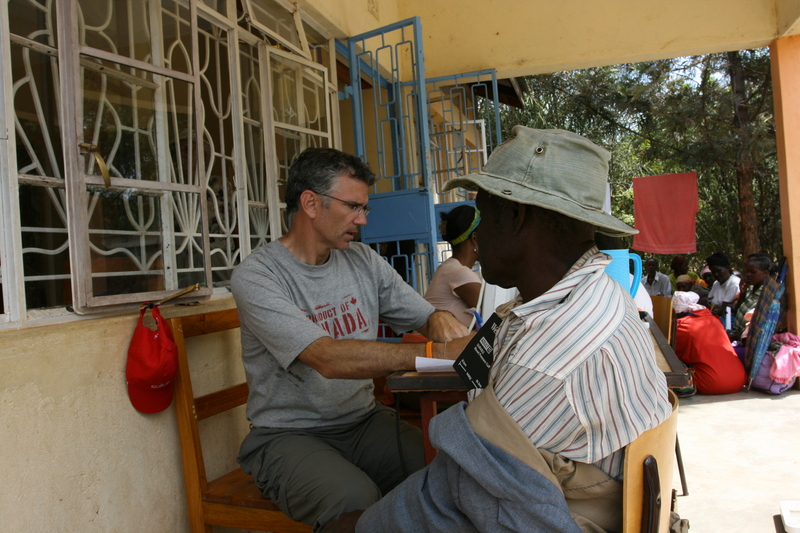 We had been working at a free medical clinic at an orphanage in a remote part of Kenya. My job was to take temperature, blood pressure and administer de-worming medication. The assumption was that everyone had worms. More than 500 people had walked – some all night – to be in the line-up that morning. People showed up with severely infected cuts (no money for antibiotics or proper stiches), missing toes (playing with a machete), eyes gone blind (again no money for treatment), and all manner of internal problems. One lady had been seated on a white, plastic lawn chair and then propped up on top of a bicycle as her relatives pushed her countless miles just to be seen by a doctor. While I was taking the blood pressure of one small boy I noticed that he did not seem to like me touching his arm. I asked one of the doctors to look at it and it was quickly determined to be broken. No tears, no crying – just a broken arm. Because the clinic did not have an X-Ray the doctors and nurse decided to reset the arm “manually”. I watched as the doctor applied pressure to one part of the arm while the nurses pulled in the opposite direction to create the traction necessary to bring the bones back into proper alignment. The sound of crunching and grinding of bones was awful. But, astoundingly, I noticed that the little boy did not cry, wince, talk or show any outward emotion. Perhaps he had been in pain for so long that he was in shock. I had to fight my own tears and upset. The doctor wrapped Mutuco’s arm (we eventually got his name) and tied it up in a sling. We gave him some juice and started to wonder where his parents were. He had walked to the clinic alone – at 10 years old. His life could not be more different than that of my 14 year old daughter who was also volunteering on that trip. And, because we had nothing else we could do – we sent him off to walk home. 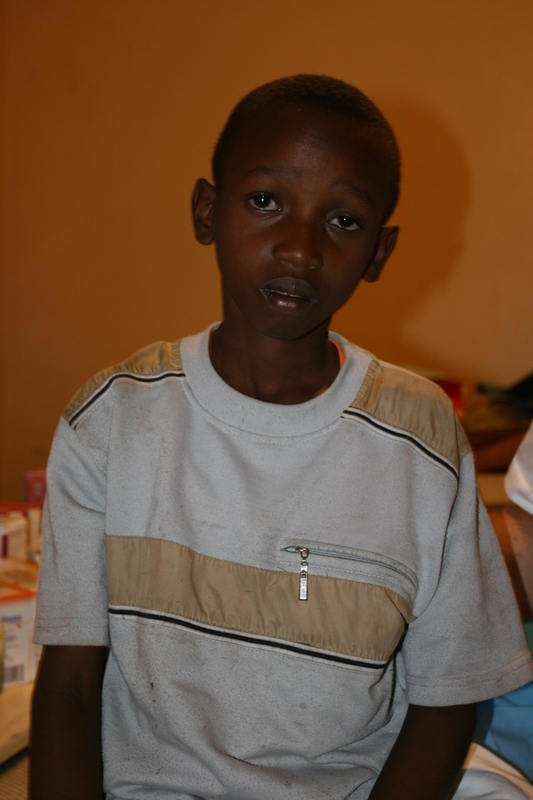 We had promised that if he came back we would take him to a local hospital for a proper cast but we had no idea if he was expected home that night, or maybe he was looking after a younger sister. And we had no idea if he would return. I have been on nearly 20 international volunteer projects over the past 7 years in Kenya, Ghana, Sri Lanka, Guatemala, Uganda and Rwanda. The common experience from most of the people on these volunteer teams is that the experience somehow changed each of us – in particular how we see the world. For me, I knew that I could do more to help others especially in places where there is no social safety net. We had many great conversations about our experiences late in the evenings in Kenya. We puzzled the feelings we were having. We puzzled the elation and joy that we were personally feeling – strange when so many were suffering around us. But giving in this manner gave our lives real meaning. Helping others was experiencing a higher kind of love. We expected nothing in return for our actions. But, I can tell you that we felt like we had been given a huge gift. Perhaps more importantly it caused me to realize that HOW I live life in North American was vital. Helping others, as a manager or neighbor or teammate or father or friend has ample opportunities to be in the giving mode – expecting nothing in return. I don’t ask What’s In It for Me. My values had shifted. Imagine taking 15 of your high performers – people who will run your company one day – for an international volunteering experience like this. How would it change their perspective? I bet they would become less selfish. I bet they would really understand Service – maybe applied to real customer service. I bet they would understand that living a life of meaning is closed tied to How you live life. With their change in perspective would come new behaviors. Those behaviors would change your company culture. And, over time, as your customers interacted with your employees they would see a difference in your brand. And, they would trust your company more. This September I am taking 15 people from one company to Kenya. We are working with Developing World Connections and CTC International. Our objective is to provide access to technology for people who live in a poor village that grew up around the needs of Kenyan truckers. Wow – what a story Nick! Very touching and inspiring. I didn’t know you were doing these types of volunteer trips, but I am in awe. If you ever consider doing one outside your organization, with industry colleagues, let me know. I’d love to do it, and would value your experience.